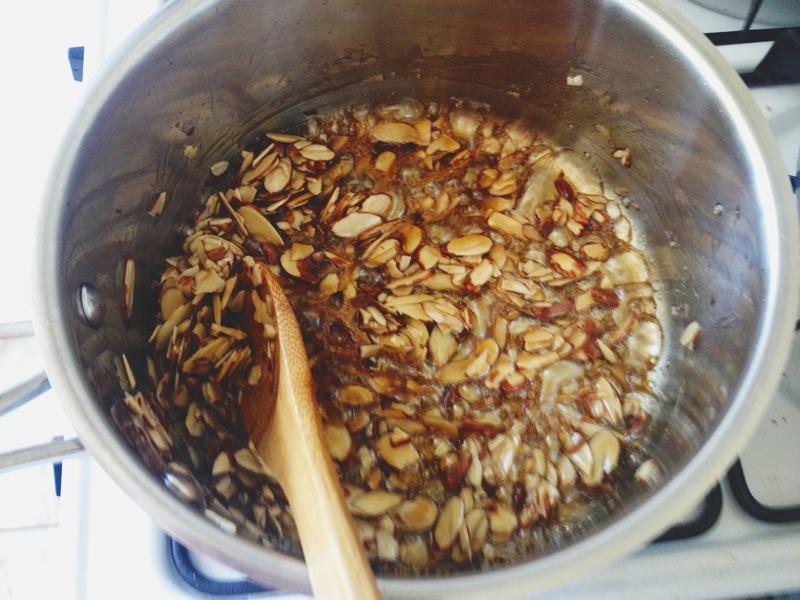 I learned how to make Almond Praline this week. It’s as simple as it gets. Let it simmer and stir occasionally until the mixture becomes like a syrup. Then you add the almonds. A heaping cup should do. It will look like its turning a golden brownish color. Stir it up. Sniff it. Yum. Spread the mixture on some parchment paper, and allow it to cool. You can keep it fresh in a tupperware until you want to use it. I’ve actually just kept it on the counter to pick at it. All day. : ) I deem that as a good decision. I need to eat that.